The 10th edition of Pollutec Maroc, the international exhibition of environmental equipment, technologies and services, which took place from the 2nd to the 5th of October 2018 in Casablanca, placed this year again under the High Patronage of His Majesty King Mohamed VI, confirmed its triple vocation: as an essential BtoB meeting place with Moroccan decision makers, a dynamic bridge to African markets and a place to expose and promote innovations and solutions adapted to the Moroccan market. 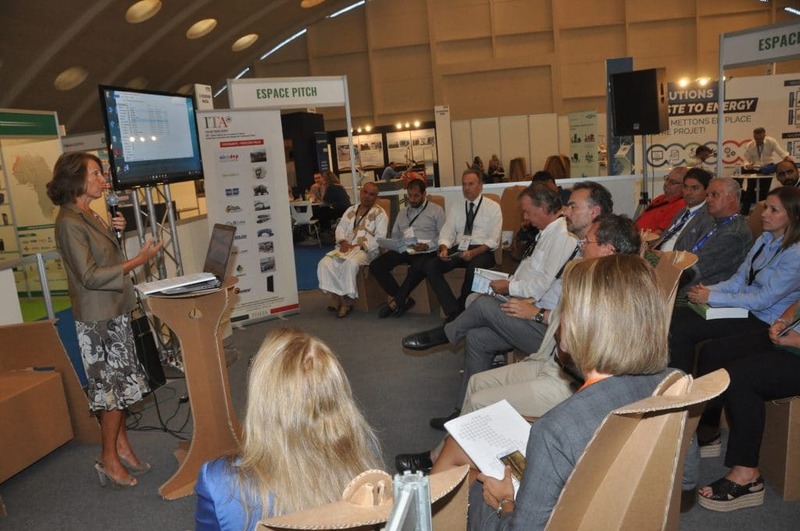 Alongside the major institutions, Moroccan eco-companies were highly represented at the show, since more than 47% of exhibitors, of Moroccan nationality, came to propose their solutions to professional visitors with concrete projects and business prospects. Head of Government Saad Eddine El Othmani presided over the inauguration ceremony of the 10th edition of Pollutec Maroc 2018 at the Casablanca Trade Fair Office on Tuesday, October 2, 2018. He was accompanied by Aziz Rabbah, Minister of Energy, Mines and Sustainable Development, and Nezha El Ouafi, Secretary of State for Sustainable Development. Visit of Ministers during Pollutec Maroc 2018. 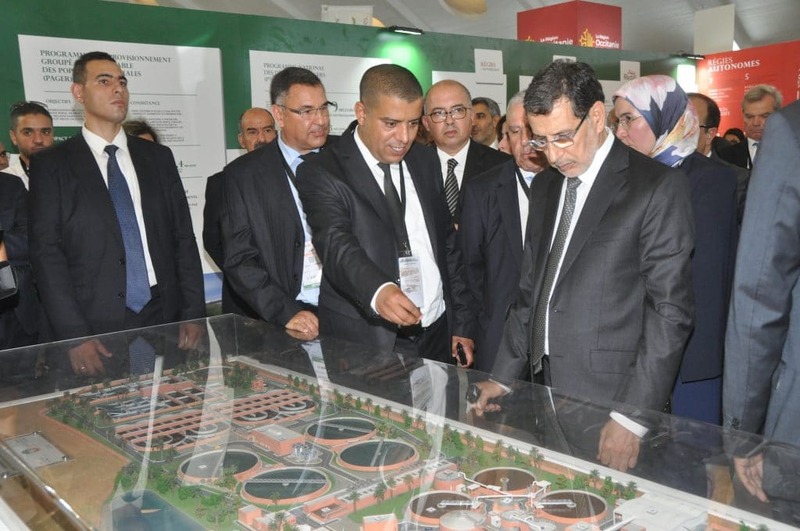 Besides the visit of the three ministers, all the Moroccan institutions involved in the energy and ecological transition were present at the exhibition: the Ministry of Industry, Investment, Trade and the Digital Economy, the General Directorate of Local Authorities of the Ministry of the Interior, the National Office of Electricity and Drinking Water (Onee), the Moroccan Agency for the Development of Investments and Exports, the Industrial Cluster for Environmental Services in Morocco (CISE-Morocco), the General Confederation of Moroccan Enterprises (CGEM) and the Moroccan Agency for Energy Efficiency (AMEE). The representatives of these major institutions were present on the stands of the exhibitors they visited, but they also invested heavily in the conference programme. In particular at the “Sustainable Territories” Symposium, held on Wednesday, October 3, 2018, which addressed leachate management. On this occasion, the Secretary of State for Sustainable Development referred to the National Waste Management Programme (PNDM) and the objective of 90% of household waste to be collected “professionally” by 2022, reaching 100% by 2030. Mrs El Ouafi also recalled the importance of the implementation of the Five-Year Plan (2017-2021) which will make it possible to convert controlled dumpsites into landfill and waste recovery centres. Regarding the workshop on Green Finance, which followed, Rachid Firadi, Director of Partnership, Communication and Cooperation with Mrs El Ouafi, highlighted the funding opportunities under the Green Climate Fund, while the Directorate General of Local Authorities of the Ministry of the Interior detailed the Subnational Climate Finance Expertise Programme (Pefcli), which is aimed at local authorities and is complementary to the work carried out by the Climate Change Competence Centre of Morocco (4C Morocco) to strengthen the capacity of regional actors to access climate funds. In addition, the European Bank for Reconstruction and Development (EBRD) presented the two financing tools it makes available in this context: Fintecc (direct financing) and MorSEFF (indirect financing). On Thursday morning, the Moroccan government services presented the efforts made in the areas of sustainable mobility, energy efficiency and management, water, sanitation and waste management. For its part, the city of Casablanca intervened to show its concrete ambitions in terms of a smart city for sustainable development. Mrs Hakima Fasli, Vice-President of the Casablanca Municipal Council, presented the feedback from the white and sustainable city, which intends to be exemplary in this area. The city is going even further by currently launching 70 projects to digitise the city’s services in order to become a real smart city… sustainable. 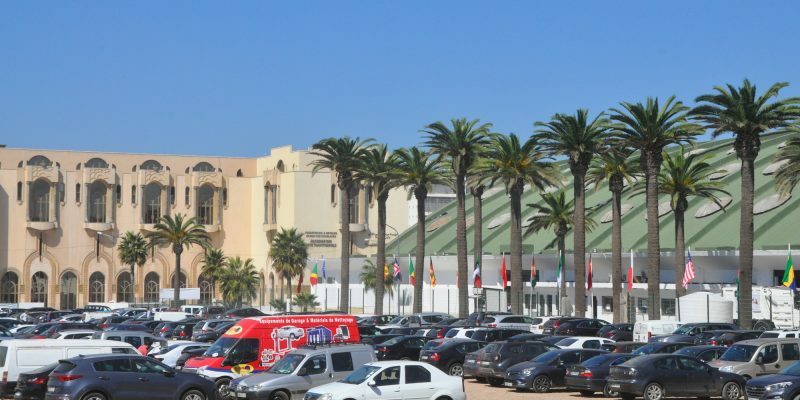 Casablanca was also present at the exhibition with a stand, close to Derichebourg Maroc, which took over the city’s waste management a year ago, pending the launch of a new call for tenders dedicated to the management of the city’s waste. The Moroccan subsidiary of the French group Derichebourg is currently on the short list, in competition with another exhibitor, Mecomar, and two other companies. The result of the races are expected in less than a month…. The two forums, focusing on the Moroccan situation, were complemented on that day by the Zero Mika Project (zero plastic waste) conference and, the next day, by the conference on the Potential for Energy Efficiency in Morocco, organised by the EMC Cluster. Morocco, which no longer hides its African ambitions, has taken the lead in terms of energy and ecological transition on the continent. Pollutec Maroc is supporting this movement towards the continent, by opening up more and more to Sub-Saharan Africa since 2014. African delegation during Pollutec Maroc 2018. This year, Senegal was the guest country for this tenth edition. A Senegalese delegation of decision makers from the country was present throughout the exhibition to unveil current projects and discuss with potential partners. “Senegal’s participation as a guest of honour at the 10th edition of the International Exhibition of Environmental Equipment, Technologies and Services, Pollutec Maroc, reflects the solid relationship between Rabat and Dakar,” said Senegal’s Ambassador to Morocco, Ibrahim Al Khalil Seck. 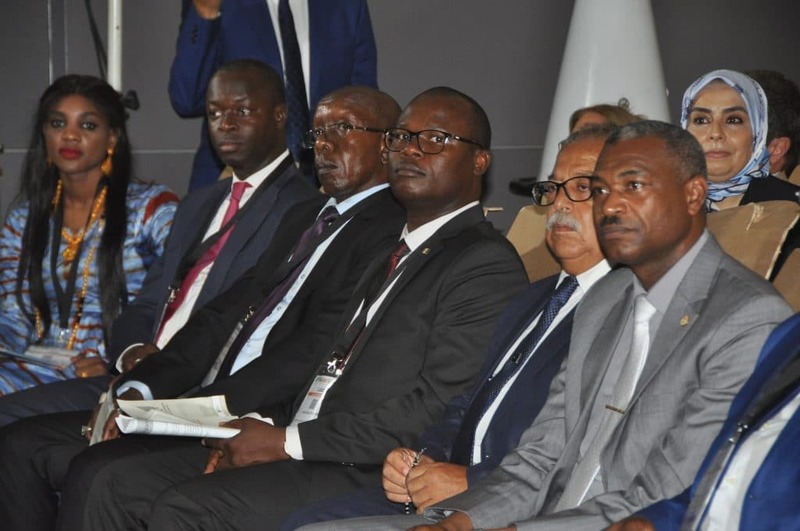 The latter did not hesitate to visit the stands and invite, for example, the company Enviro-septic to propose its wastewater treatment process for construction projects in real estate, but also for seaside tourism and populations in rural Senegal. Among others, a Gabonese delegation was also present, in the person of Chimène Michelle Milendji Koumba, Head of the Rural and Urban Environment Department, and Gislain Mbye Ntoma, from the Environment Directorate General at the Ministry of Water and Forests, Environment and Sustainable Development. Most importantly, the Africa Space, led by Olivier Chazal (Club Ademe International), Kelly Robin (Ipemed) and Cécile Carlier (I&P Conseil), was full during the four days, with a series of round tables devoted to wastewater and solutions adapted to the different local situations, innovation and solutions based on nature, sustainable agriculture to reinvent production and consumption patterns, the socio-economic potential of waste, renewable energies and energy efficiency and, ultimately, the conditions for the energy and ecological transition for sustainable cities and territories. It was an opportunity for some SMEs to present their solutions adapted to African markets, such as Exochems Environnement Africa (biological solutions for sanitation and wastewater treatment) or Chemdoc Water Technologies (desalination of brackish water for irrigation). At the same time, a large group like Veolia took advantage of the event to present its “Ambition for Africa” project, launched at the end of June 2018, which signs its desire to win back and is reflected in a clear desire to establish local partnerships. This is true of Veolia Water Technologies (the construction and sale of products branch), which has enabled the South African company Ceracure to acquire a stake in its local subsidiary, while in the North, an ambitious partnership has been established with the Moroccan company Afric Chimie for the distribution of chemical products in Morocco and elsewhere in Africa. This merger even took the form of the creation of a new entity, called Veolia Chemical Services, based in Casablanca, but also the case for multifunctional services to local authorities or companies, with Veolia’s recent arrival in Ivory Coast where the group has joined forces with PFO Africa, an Ivorian company specialising in construction and public works, to obtain the supply of drinking water in Abidjan… and more if the two sides so desire. Pitching Companie on Pollutec Maroc 2018. Innovation at Pollutec Maroc, a little bit everywhere, and a little bit all the time. Whether it was the SMEs on the collective stands of Occitania or the French Pavillon, the Italy or the German booth, but also and above all, on the Espace Pitch, which saw many presentations… It was difficult to attend all these 7-minute pitch, but the innovation that the R-Oasys system from Chemdoc represents was nonetheless remarkable: industrial wastewater treatment for reuse in irrigation, ultra-compact equipment without chemicals, fully automated operation, with real-time steering and monitoring via sensors. We also remember the great energy and ingenuity of the young Moroccan startups, who were rewarded by Mr Aziz Rabbah, Minister of Energy, Mines and Sustainable Development, and by his Secretary of State for Sustainable Development, Mrs Nezha El Ouafi, during the Cleantech Programme Trophies: Farasha Systems, Watec, Eco-Oil, Eco-Dome, M4Nature and Project Gems. For more information on the Cleantech Trophies and the Environment Trophies, awarded on the occasion of Pollutec Maroc, also read our detailed article published during the exhibition.